Canary seed and mixtures for parrots / There are 9 products. 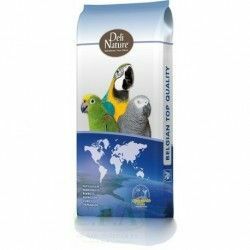 Mix basic and general for all types of Parrots with peanuts and whole and peeled. 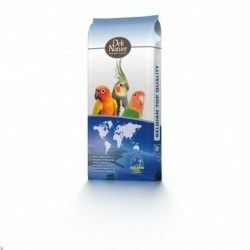 Mixture enriched with a high content of various types of fruit[pineapple,papaya,raisins,..] Mix with a 24% sunflower, ideal for almost all types of parrots. Mixture very rich with more than 25 ingredients. Mixes thick with a 40% depipas of sunflower, nuts, cedar, pieces of walnut, raisins.Ideal for parrots who must have unaalimentación stronger, such as the macaw, elloro eclectus, parakeets golden, the black cockatoos. Great variation with more than 20 ingredients. 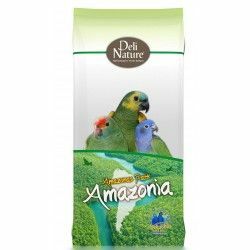 It is a balanced mix for a species of Amazons and Pionus. The mixture is very rich in fruit (9% including papaya, pineapple and raisins) because these species like to eat fruit in its natural habitat. 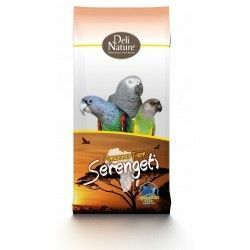 The mixture is enriched with the grain of the bird and the pellets extruded to obtain vitamins, amino acids and trace elements additional.